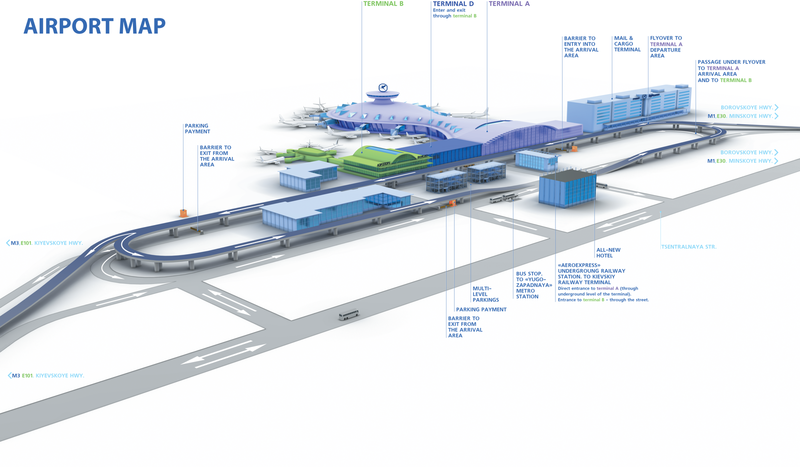 Vnukovo airport consists of three passenger terminals (A, B and D) and VIP terminal located in the separated building. The AeroExpress trains is the fastest way into central Moscow. 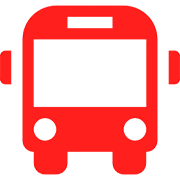 AeroExpress trains run every 60 minutes and it takes 35-40 minutes to get to Kievskaya metro station. A taxi desk is located in the Domestic flights arrivals area. 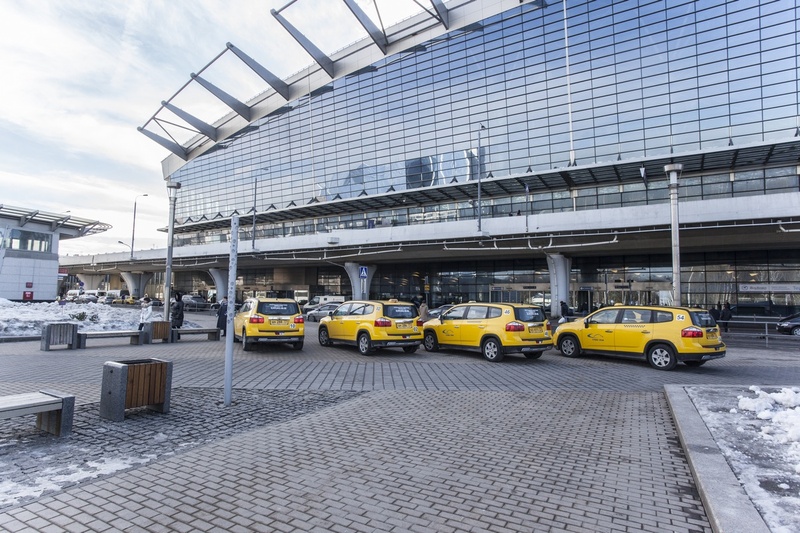 Moscow Vnukovo Airport is one of the most comfortable terminals. Please, check the terminal of your departure before the flight! 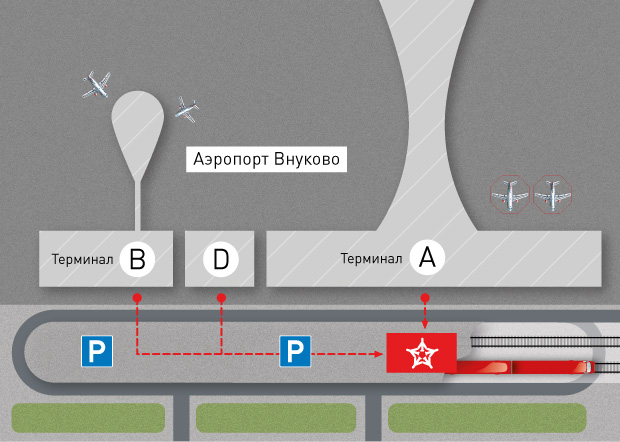 Sometimes the terminals are noted as “Vnukovo A” or “Vnukovo B” in tickets. Make sure that you allow sufficient time to pass through airport security procedures. Please, note that security lines, check-in and passport control may be longer than usual. Departure lounge of the terminal A (check-in area and passage to the departure gates) is located on the second floor. Terminal A VIP Lounge and international departures business lounge (except for Turkish airlines passengers) is located on the third floor. You should not pass customs and border control to access this business lounge. An entrance to Terminal B can only be found on ground level as there is no access to the Terminal by overpass (flyover). Boarding ends 25 minutes before the departure time. The Aeroexpress is the fastest way into Central Moscow. Trains run every 60 minutes between Moscow VNUKOVO Airport al and Moscow KIEVSKAYA Station every day from 6:00 am to 00.00 am. The journey time is 35-40 minutes and the service is non-stop to KIEVSKAYA Station. To take the Aeroexpress train follow red AEROEXPRESS signs in the arrival hall. Distance from Arrivals area to Aeroexpress platform: 3-5 minute walk. Fare – 420 Rub if you buy them on-line and 500 Rub at the station. 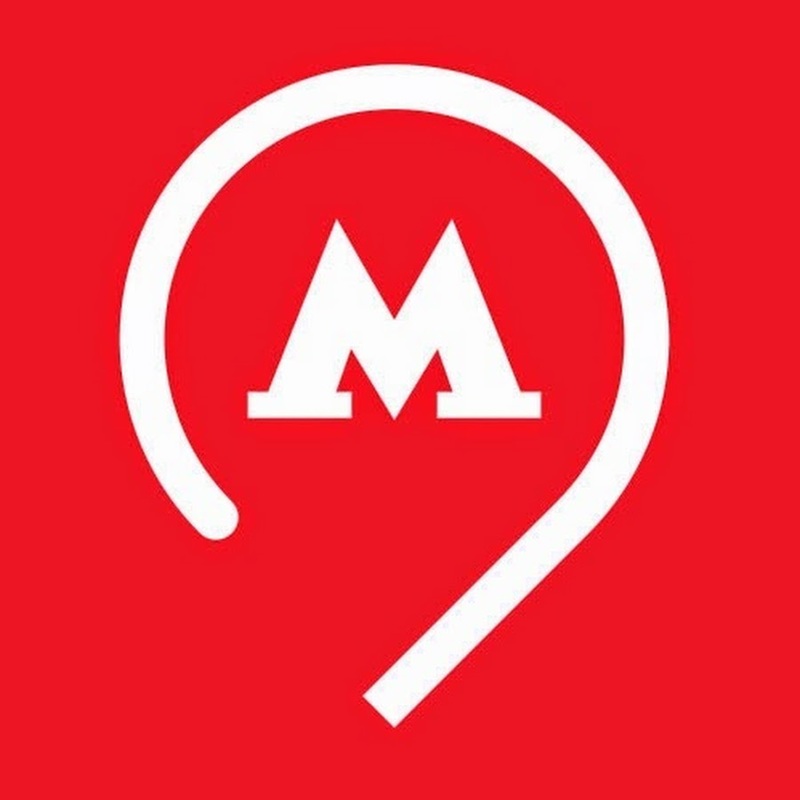 Read more about Moscow Subway at the Moscow Metro section. 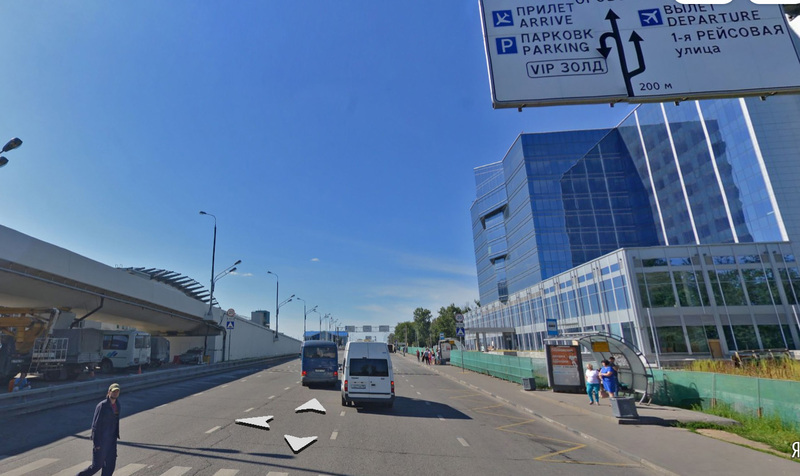 Bus stop is located about 400 meters from Vnukovo Terminal A. You should exit from the Terminal A through the ground floor, turn to the right and go along the overhead-road to the end of multi-storey parking. Then turn to the left, go along the parking, cross the road and take a left-hand Bus stop. Ouff…! That is it! Busses run from 5:15 AM till 1:20 AM. A Buss #911 runs every 7-12 minutes and will get you to Salarievo Metro station. A Buss #611 runs every 20-30 minutes and will get you to Troparevo or Yugo-Zapadnaya Metro stations. Read more about Moscow Busses at the Moscow Public Transport section. 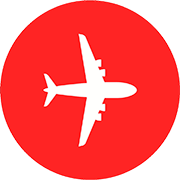 Fares to Moscow vary from 1500 to 2500 RUB depending on your destination district. no ratings yet, you can be first!